Radiofrequency ablation or lesioning is a term used when radio waves are used to produce heat to destroy tissue, usually a nerve. It has been used for several years with great success in patients who have abnormally fast heartbeats. More recently, it is being used to destroy tumors. It is a non-surgical option to treat your spine pain. Spine pain is the second most frequent pain complaint. It occurs in 65 to 80 percent of the population at one time or another, and can be disabling and frightening. Its costs to society are great. In the case of spinal pain, radiofrequency waves are transmitted through a needle placed into the facet joint under x-ray guidance. This procedure is also known as rhizotomy. The spine is made up of three general parts. The top portion is the cervical spine and connects with the skull or cranium. The middle portion is the thoracic spine and is identified by the ribs that attach to each of the vertebrae. The lower portion is the lumbar spine. It connects with the pelvis at the sacrum. The human spine is made up of 24 spinal bones called vertebrae. Vertebrae are stacked on top of one another to form the spinal column. The spinal column is the body's main upright support. 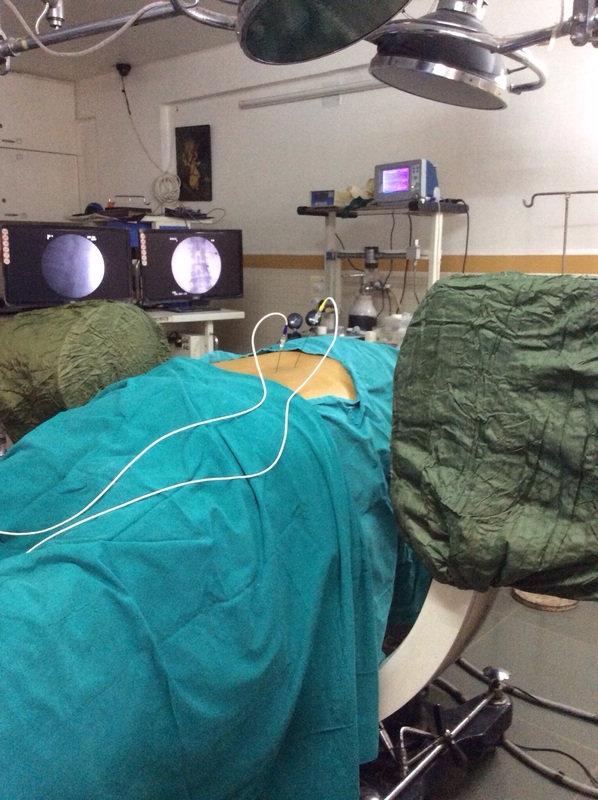 Radiofrequency ablation (RFA) is a medical procedure in which part of the electrical conduction system of the heart, tumor or other dysfunctional tissue is ablated using the heat generated from medium frequency alternating current (in the range of 350–500 kHz). 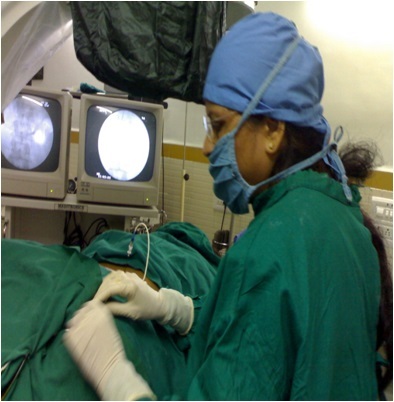 RFA is generally conducted in the outpatient setting, using either local anesthetics or conscious sedation anesthesia. 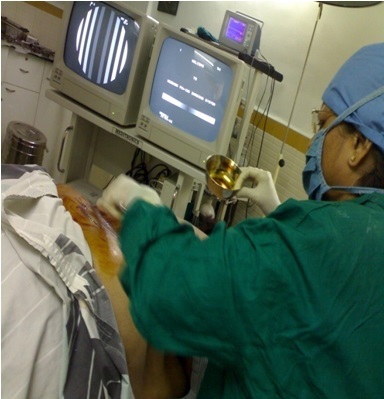 Two important advantages of RF current (over previously used low frequency AC or pulses of DC) are that it does not directly stimulate nerves or heart muscle and therefore can often be used without the need for general anesthetic, and that it is very specific for treating the desired tissue without significant collateral damage.